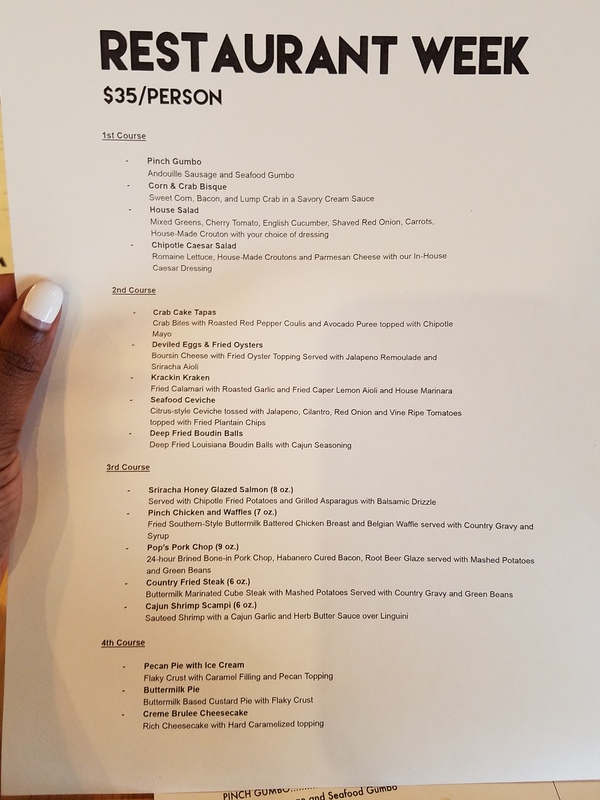 Houston Restaurant Weeks (HRW) is in full effect and of course 2 Girls Who Travel weren’t going to be left out of the mix. 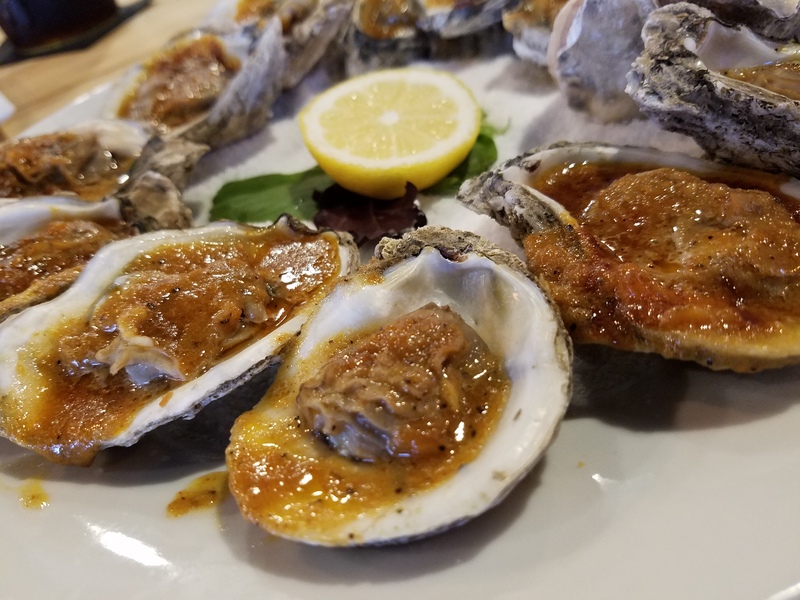 After perusing the extensive menu selection, we decided to try out Pinch Seafood & Bar*, located in North Houston (on 290 off 610). Walking in, we knew we weren’t in for the average seafood joint. The interior and décor gave off a trendy, hipster vibe with exposed duct work, an industrial look, wood flooring and the bar tables. 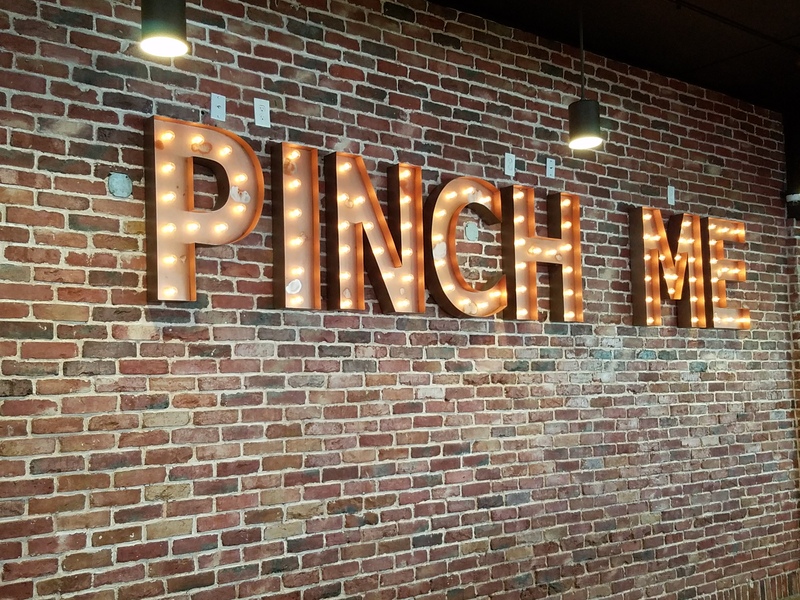 “Pinch Me” was illuminated in light bulbs across the exposed brick on the back wall. There were multiple TV screens and the charging outlets and purse hooks at the bar seating were a nice touch. If for nothing else, you should try Pinch Seafood this month for their HRW menu alone. Dinner gets you a choice from four courses (2 appetizers, an entrée and a dessert) – all for $35. Some of the entrees alone cost close to that on the regular menu. So the value is unmatched. 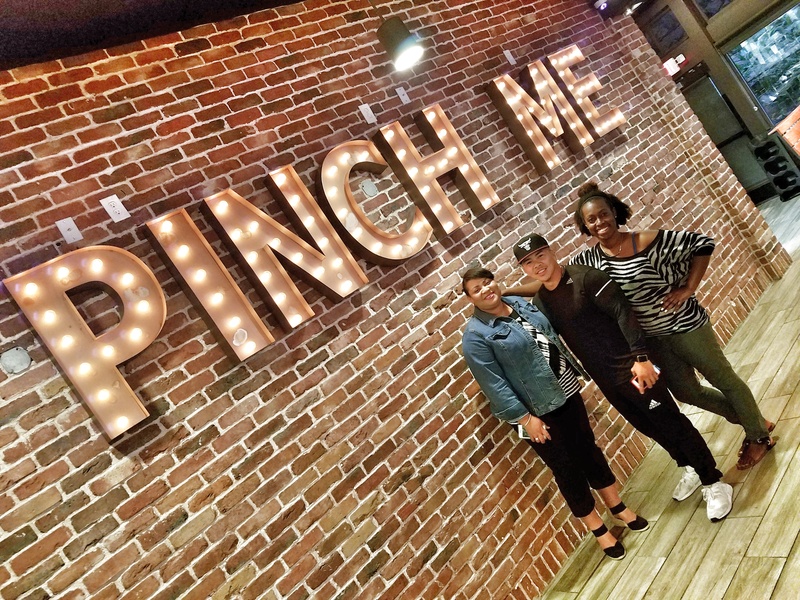 New Orleans native and Pinch co-owner Vu Nguyen was on hand during our visit and he explained that rather than putting less popular items on the HRW menu, he put his best-sellers and dishes he likes to eat on the menu. 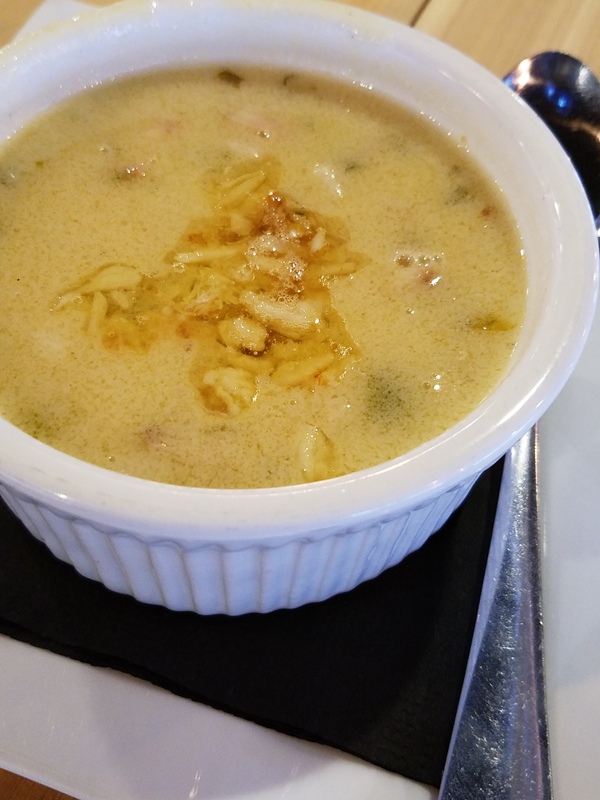 While we ventured a bit off the HRW menu to try some other of the restaurant’s items, some of this deliciousness you’re about to see is of course on the HRW menu. Let’s get to it! 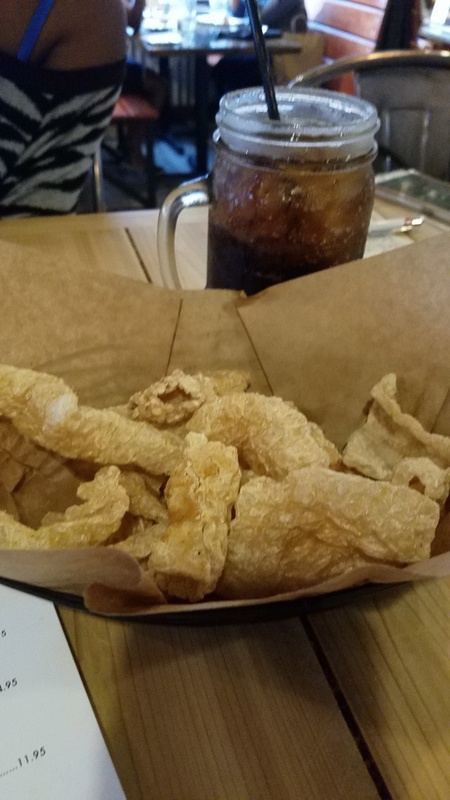 Two girls from the South know our pork skins … and these were great! Comes complimentary with orders because chips and salsa is so last year! This corn & crab bisque was so good. Usually I like my bisque a tad bit thicker, but it didn’t lack in taste. No other seasoning was needed. You can get this appetizer on the HRW menu. 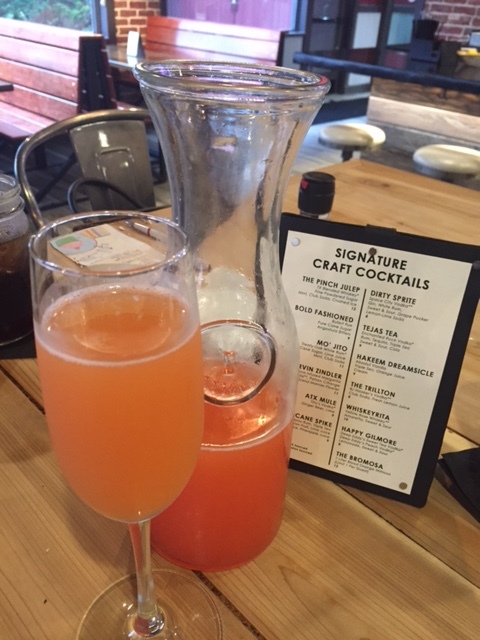 Did you think we would turn down a carafe of mimosas – or in this case, Bromosas? Made with blood orange juice, these were delicious and a welcome alternative to the usual orange juice mimosas. This seafood ceviche was so damn good, yall. 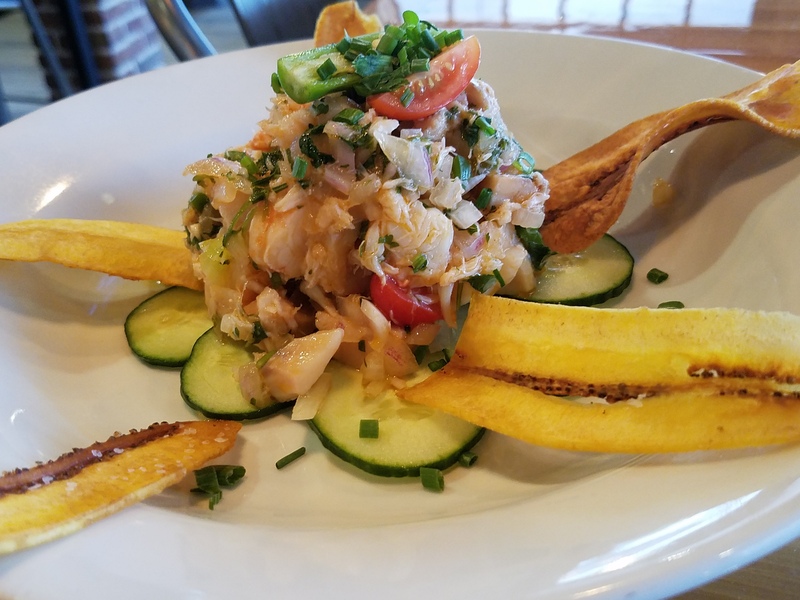 Huge chunks of seafood … great flavor … and when we ran out of plantain chips, we just used our fork! Also on the HRW menu. 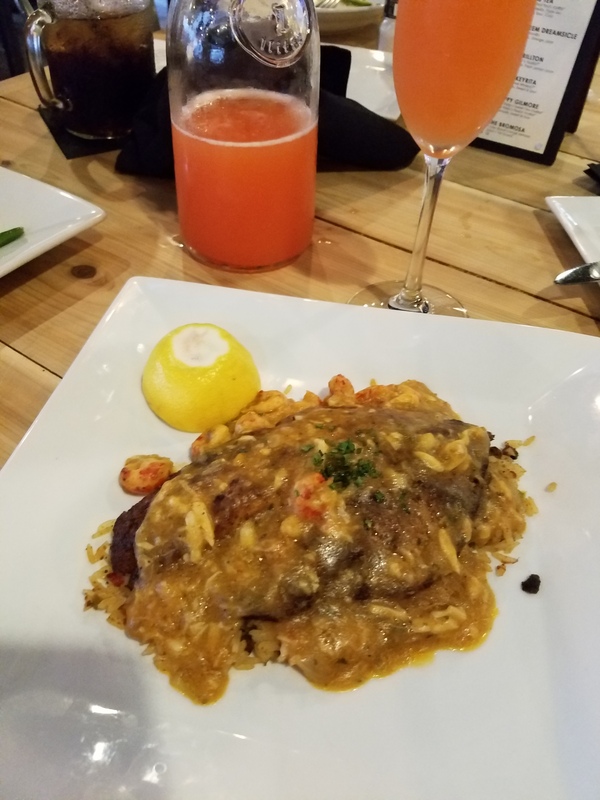 Blackened redfish with crawfish etouffe and dirty rice. Ya know, pictures don’t really do dishes like these justice because it’s all about the flavor. This was a really good entree – with the flaky redfish and plump juicy crawfish! 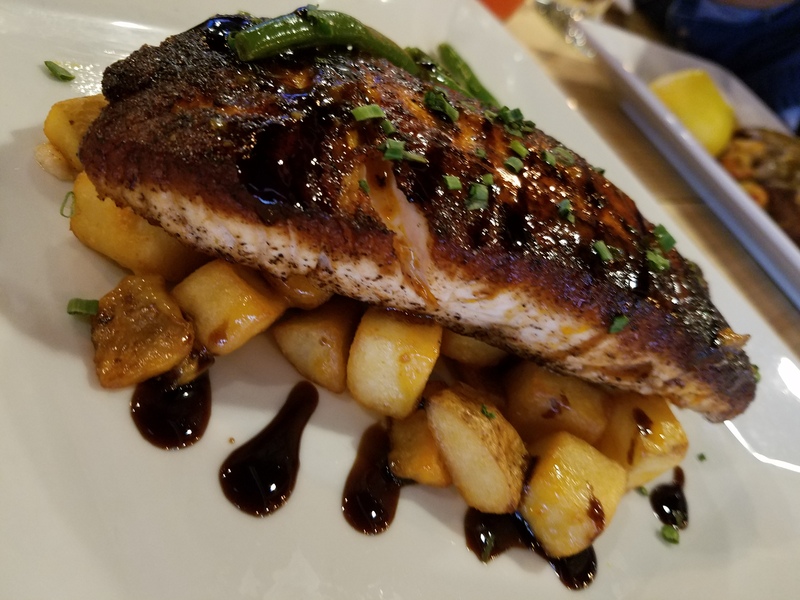 Ok, save yourself the time when picking your third course on the HRW menu and go for the sriracha honey glazed salmon. Got this baby cooked well done and the slightly charred crisp crust and the chipotle fried potatoes were an awesome combination. Per usual, dessert was gobbled up before we could snap a pic. Forgive us, but we went for the pecan pie and it was solid! Pinch Seafood is simply a breath of fresh air in an area that has desperately needed a restaurant of this caliber. Check them out at 10510 Northwest Freeway, Houston, TX 77092. And for more information, visit their website. Editor’s Note: This restaurant has closed.